Did you notice God at work as you were intentional about watching and listening this week? It takes practice to remain ALERT doesn’t it? I hope you picked out a prayer trigger, tried the “BLESS” prayer, and spent time making a “thank you list.” Continue to carve out time for that morning launch. That way, you come “hungry to the table” of prayer, giving God first shot at meeting your needs before you fill up on other things. I’m always amazed at how God shows up when I am intentional about seeking Him. Last week, a young friend asked me to pray for her as she took her med school exam. Her prayer trigger, she decided, would be a red rose. I didn’t see a single red rose all week. But on the morning of her exam, I happened to be walking on the track near my home. 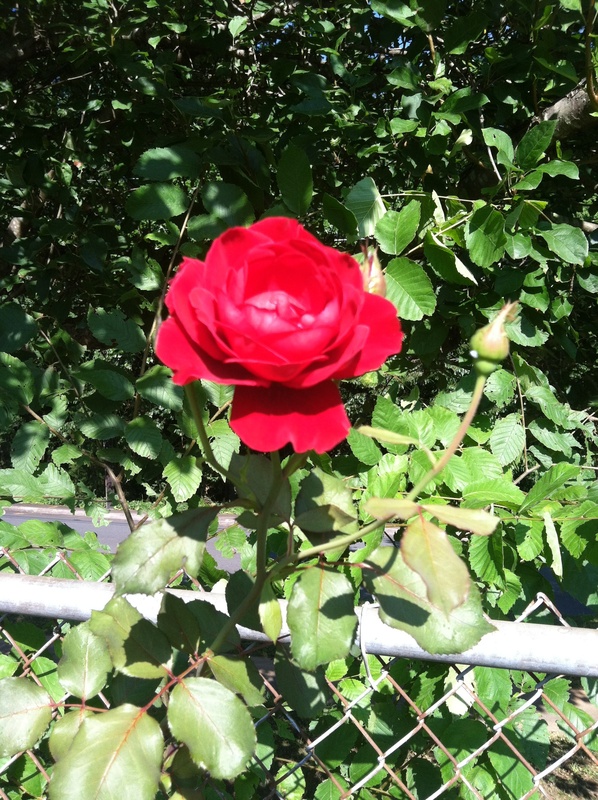 On the last lap of my walk, I glanced over at the fence and there was a bush with a solitary bloom…a perfect red rose! I was “triggered” to pray for her. She was probably taking the test at that very moment. Inwardly I smiled. God you are such a God of the details. And You must truly care about my friend and her exam. Give her an extra measure of success! Step One in our 40-Day Challenge was to Be ALERT. This week, I want you to focus on Step Two: BE SPECIFIC when you pray. Being specific helps you stay alert and brings structure and order to your prayers. Morning by morning I order my requests before you, writes the Psalmist, and eagerly watch for the answers. (Psalm 5:3). I am driven to pray when people I care about have a need. Maybe you’re like that too. I am a bit of a worrier. Comes with the territory when you love people. But I’ve discovered a secret. I can use all that energy of worry for prayer.“Turn your cares into prayers,” wrote on of my favorite theologians, nineteenth-century Charles Spurgeon. This helps me make my prayers even more strategic and specific in nature. Your Tools: A Bible, notebook or journal, a Chubby Book (an ordinary wirebound booklet of 3×5 cards), a copy of Sometimes He Whispers, Sometimes He Roars: Learning to Hear the Voice of God. Assignment: Read Chapter 3, “The List,” and Chapter 4, “The Chubby Book Method,” in Sometimes He Whispers... Answer the Personal Reflection Questions on page 190. Click here if you’d like a free download of the Introduction and Chapter One. THE LIST: This week, you’ll learn about my discovery of the list method. The List helped me to be SPECIFIC when I prayed. I encourage you to get alone with God this week and make a list of your worries…think of all your family and friends. Just the practice of making your list helps reduce stress. Being specific also keeps you from becoming vague and lazy in your prayers. How specific should you be? Specific enough so you recognize the answers when they come! Tip #1: Keep watching and listening. Remain ALERT throughout your day for anyone God might want you to add to your list. That next door neighbor you barely know, a child’s teacher, a hurting co-worker? Tip #2: In Chapter 3, I tell the story about praying for a random “Sudan Sam,” as God pricked my heart to pray for the people of the Sudan. Click here to see the actual Zaki Samuel. 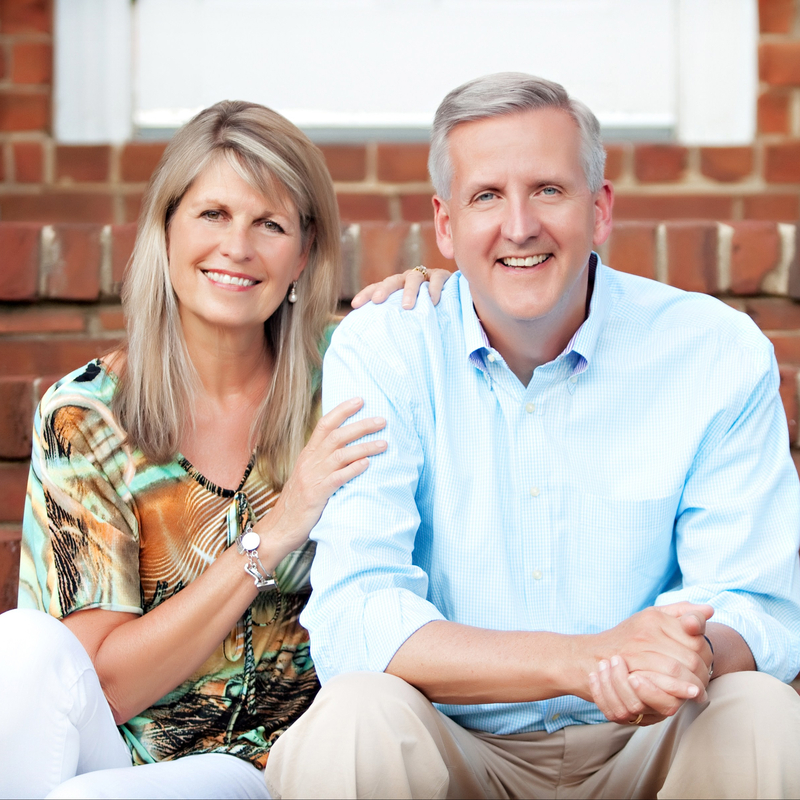 Just imagine, God prompted me to pray for a nation and a people I had never met. Keep watch to see who He brings to your mind this week. Ask Him to help you learn more about this people group so you can pray. Maybe you’ll see a news story or stumble across an article on the internet. Tip #3: Your minutes matter. Would you agree to become a MAD FAN this week? Pray A-Minute-A-Day-For-A-Nation. Put this nation on your list. Continue to listen and keep watch. Stay ALERT. Ask God to help you BE SPECIFIC. The Nuba people of the Sudan are again the target of genocide. I set my cell phone to pray every day at noon for them. Would you join me? And pray for our nation…and for the nations of the world. Imagine the power of our combined prayers! This is the second week of our 40-Day Challenge. I’d love to hear your comments: Who is on your list? Did God place a nation on your heart to pray for? Remember to sign up at the bottom of this page if you want to receive the weekly blogs in your email inbox. Prayer: Lord, I have been weighed down by so many worries lately. Sometimes I feel the weight of the world on my shoulders. This week, I commit to “casting my anxieties on you” because You promise in your Word that you “care for me.” I will continue to listen to your voice and watch for signs of your work all around me. And Lord, continue to remind me to pray for people and places that matter most to you. Help me to become sensitive to the needs beyond my own walls. 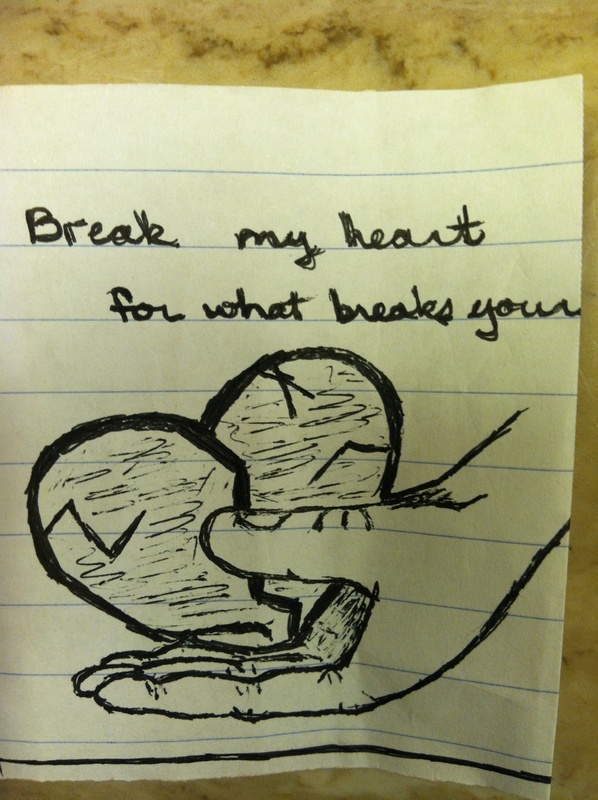 Break my heart, Lord, for what break Yours! Someone sent me this note. Let it be our constant reminder to pray for the needs of our hurting and broken world! This entry was posted on Monday, July 2nd, 2012 at 9:06 am	and posted in Be Specific when You Ask. You can follow any responses to this entry through the RSS 2.0 feed. That’s clever. Do you have a reminder or do you just keep an eye on the clock? This sounds a lot like the biblical “watch hours.” Also just curious. Are you from Charlotte?